“The outward appearance or apparent form of something, especially when the reality is different.” The dictionary definition of semblance could not map more perfectly onto everything Semblance is. 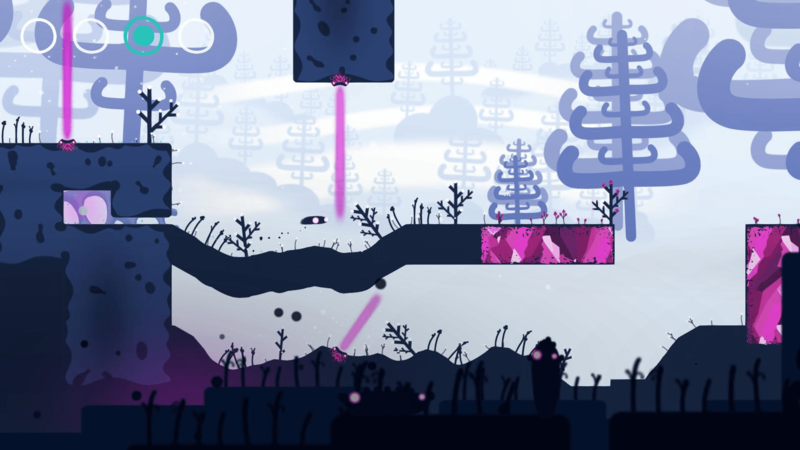 Easy to mistake as a run-of-the-mill platformer, Nyamakop’s Semblance nails the almost impossible task of standing out in a sea of indie platformers by being something far different and far more than a basic addition to the genre. The game’s innovation and nuance are not found in its premise. The world is infected and you ⎯⎯ a literal blob ⎯⎯ have to cure it by solving puzzles to reach collectable orbs in set locations, armed with nothing but a quick dash, a reset function, and video games’ most malleable physique. It’s not just your body you can shape, the world around you can be bent ⎯⎯ literally and figuratively ⎯⎯ to your will. 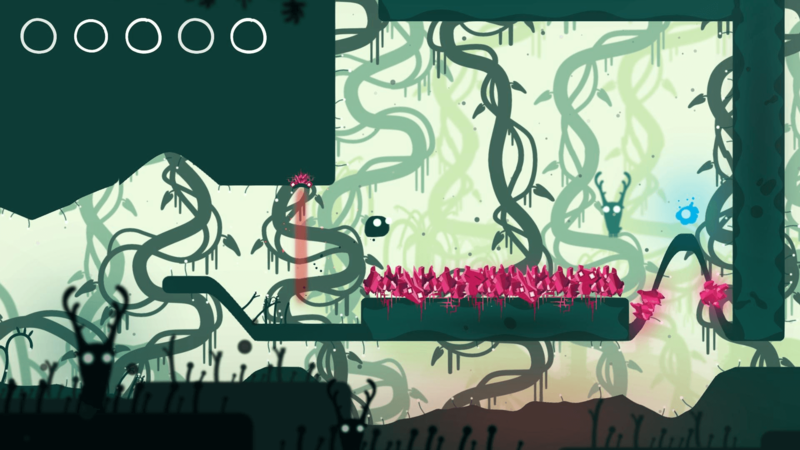 Semblance takes the platforms from platformers and gives it to you to control. It’s such a simple idea but, when going back to restart the game, you can’t believe you were ever without it. The platform too low to reach a target? Headbutt it until it’s high enough. Impassable sea of knives between you and progress? Slingshot yourself to the other side using a literal wall. Semblance offers you virtually no guidance on how to do any of this. There are instructions to show you how your dash works and how your reset works, and then you are cast away to work the game out yourself. It is a risk, absolutely. In less well-designed games this could be a sticking point, but Semblance drip feeds you just enough information at just the right time. It tempts you into doing one thing, which reveals a new effect you can use to solve the next puzzle. Similarly with environmental and personal modifiers — like beams of light that reset your alterations, or walls that let you alter the shape of your body to change how far you can jump — you are not told what they do. 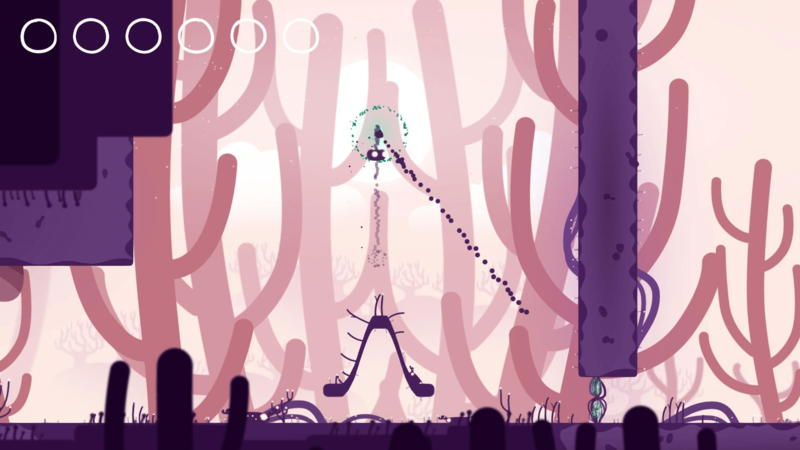 Instead, Semblance lets you work it out for yourself, giving a kind of respect to the player that less confident games might not. And you will need to remember every trick you have learnt, and every combination of effects possible to get past Semblance’s tougher challenges. The game’s best trick is presenting puzzles that immediately look solvable but only through attempting the most obvious options do they reveal their complexity. You are never frustrated or accusing the game of being deliberately obtuse. The solution always feels a small step away, and it, invariably, is. But, it’s never as simple as trying a puzzle again and again. 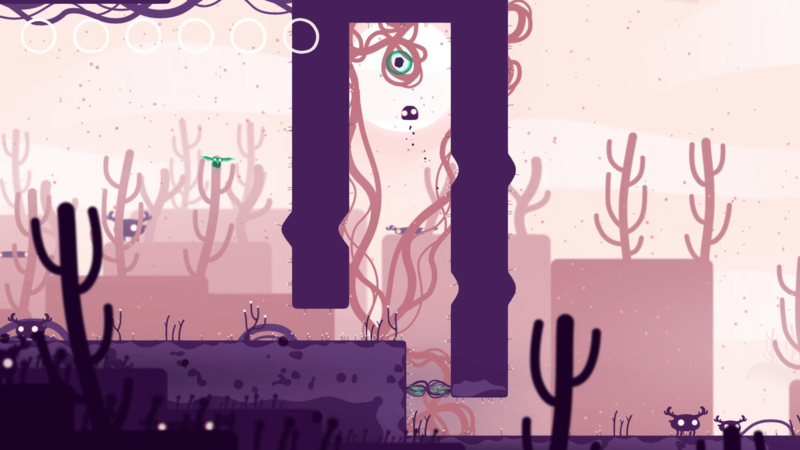 Each time you die, Semblance will pop you back at the start of the screen without erasing your past efforts. If you think you’ve got the solution but failed to execute it, it won’t make you set everything up again. But if you are completely off then it won’t reset and let you look at the challenge anew. You have to make your own decision to wipe everything away, which is hard to do when you have spent a while chasing a particular path. Everyone will get stuck in different places because the game forces you to recognise your own mistakes rather than gently pushing you towards the right answer. Where this lack of detailed direction does fall down slightly is in how Semblance tells its story. Murals dotted around the world give you snapshots of how the world came to be in such danger and the game asks you to fill in the detail yourself. For those who prefer a strong, guided narrative, this will grate a bit and could make it harder to persevere when stuck, as there is little reason to beat the game past the satisfaction of completion itself. The Switch version, reviewed here, does suffer from the console’s small joysticks. Some puzzles need you to be precise in a pinch, and the combination of small joysticks and large hands can make you fail more than you might on other platforms, but you restart quick enough that it never feels like an undue penalty. Semblance is a short game but, at under £10/$10, it is great value for money on a game that shows genuine innovation in a saturated genre. Semblance is available on PC and Nintendo Switch.